Congratulations – you’re getting a new furry addition to the family! Of course, now that you’ve decided you’re ready for the pitter patter of paws, there are lots of other decisions to be made. Most importantly, what kind of furry friend will you be looking for? You probably know whether you want a cat or dog, and perhaps you even have a preference for male or female, but have you considered age? Getting a new furry friend doesn’t necessarily mean having to deal with crazy puppy and kitten antics (as much fun as they can be!) – there are lots of options available to adopt an adult or senior pet. When deciding what age pet to get, its important to look at your current lifestyle and what home environment you’re bringing your new furry friend into. 1. How much time do you have? This is important to consider with younger animals as they do require more exercise, attention and training. Older animals are generally more obedient, already toilet trained, and require less time. While they may be starting to slow down a little, if you are the type who is active all day and just want to relax when you get home, maybe an older pet is for you! 2. How much patience do you have? Are you able to commit to puppy classes, prepared for cleaning up lots of accidents, and okay with possibly seeing a beloved piece of furniture/items destroyed by your hyperactive younger pet? The most common age that dogs are surrendered to pounds is between 6 months and 18 months when they are entering their challenging adolescent stage. Getting a dog who is older than this can be much less work. 3. How often are you home? Most younger pets don’t do well being kept alone by themselves. They may try to escape, bark or become destructive. Older pets are generally more settled and happy to snooze the day away until you’re back from work. 4. How active are you? Often, well-meaning family members who are worried that their (grand)parents are lonely, will buy them a puppy or kitten. What they haven’t considered is that their (grand)parent may have difficulty bending down to change that kitty litter or take their new puppy for 30 minute walks twice a day. Little pets that are running around underfoot can also be a dangerous trip hazard for older people with mobility issues. Of course, if you’re someone who likes to go running, then an active younger dog may be the perfect running companion! 5. What do you want from your pet? Are you looking for a pet to exercise with, take out to the dog park, and play with your kids for hours? Then a puppy or kitten may be the best fit. If you’re looking for a calm companion, then an older pet may be more suited. Choosing a new furry family member is a big decision. It’s important to objectively think about your individual circumstances, and whether they’d better suit a puppy/kitten or an older pet. 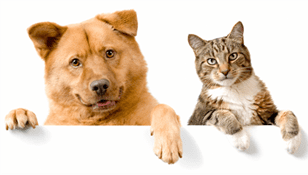 The post 5 Questions to Ask Before Getting Your Next Pet appeared first on Love That Pet.